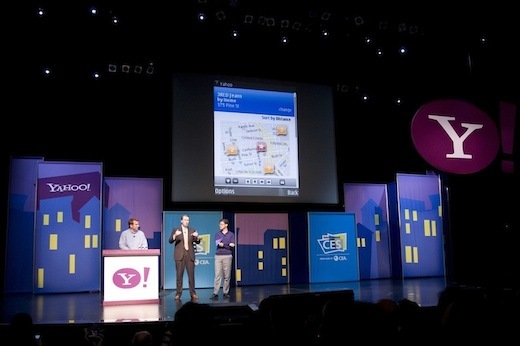 Yahoo!, like Google, to focus on "mobile first"
Features from certain apps including AppSpot and Sketch-a-Search have been integrated into the main Yahoo! Search app, and I wouldn’t be surprised to see other features from these apps make their way into the search app too. Despite the end of these apps, Yahoo says it is “moving forward with a ‘mobile first’ mindset.” This echoes comments made by former Google CEO Eric Schmidt, who said in early 2010 that Google would be following a “mobile first” strategy. Schmidt predicted that smartphones would eventually overtake PCs in popularity, and that prediction seems to be coming closer to reality every day, as the popularity and ubiquity of smartphones continues to increase. Since Larry Page took over as CEO at Google, a similar reexamination of priorities and focus has occurred, with many products that don’t fit into Google’s core mission being discontinued or open sourced.